Seen any cool links we missed? Have a better caption for the photo above? Share ‘em in the comments below! This entry was posted in Featured, Sticky Bidon and tagged geox, gianetti, hunter, mcewen, omloop, pegasus, radio shack, ronde. Bookmark the permalink. 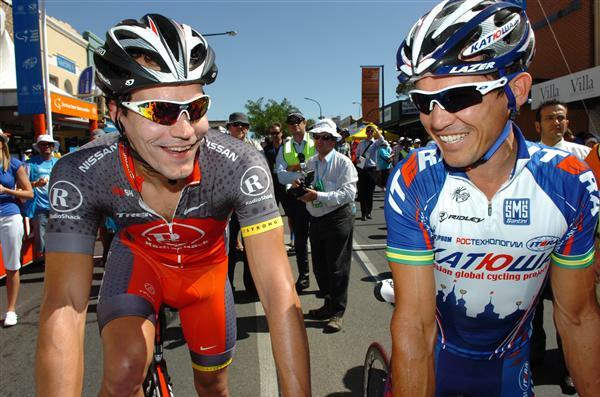 Glad to see Robbie McEwen get a ride for 2011. He'll have the motivation to make this a good year to retire on.